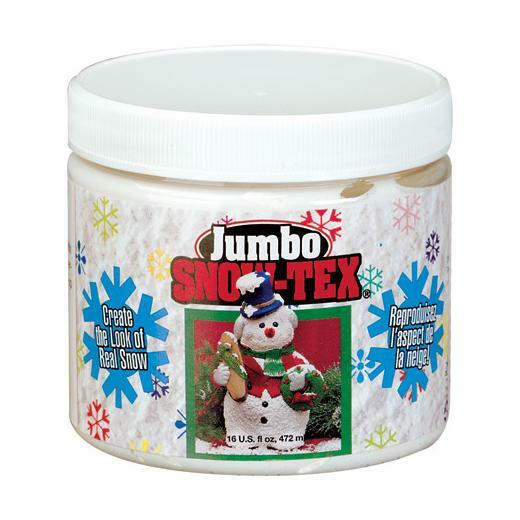 DecoArt Snow-Tex is a textured specialty product that has a multitude of uses. The most popular use is for creating a realistic snow effect on seasonal crafts. Also great for creating pure white dimensional trims, beards and whiskers. Apply with a brush, sponge or knife and let it dry. May be thinned with water for lighter application. Can be tinted by adding acrylic colours and used for everyday projects like stucco and terrain effects.